Checking your credit report can help you spot identity theft in its early stages, but that's not the only reason to check your credit report. 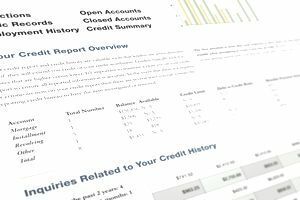 You should make sure your creditors and lenders are reporting accurate information since your credit report feeds directly into your credit score and lending decisions. Checking your credit report is also good for taking inventory of your credit card and loan accounts - kind of like a financial check-up. Review each of the accounts listed on your credit report to make sure they belong to you (or at least they used to). If you find accounts that you don't remember, highlight them so you will remember to use the credit report dispute process to remove them from your credit report. Other inquiries could indicate an identity thief trying to open accounts in your name. Note that some inquiries could appear from businesses that have checked your credit report to pre-approve you for credit cards or insurance. These "soft" inquiries are typically labeled, not viewable by anyone but you, and don't affect your credit score. Your employer and address don't affect your credit score directly (even if they're incomplete or inaccurate), but the lender or credit card issuer could use this information to make a decision about your application. Your credit report will contain detailed payment status for the past 24 months for each account. They will also contain a status that says whether your account is current or if it has ever been late. Make sure your payment history is correct because it has the most significant impact on your credit score. especially if there's a balance. If an account has a balance and is reported as closed, your credit score will be affected. On the other hand, closed accounts that are reported as open won't hurt your credit score. Check for negative information outside the credit reporting time limit. Most delinquencies, like late credit card payments and debt collections, can only be listed for seven years. The exception is bankruptcy, which can be listed for up to 10 years. Negative information that has exceeded the credit reporting time limit can be disputed from your credit report. Make sure these debts aren't simply listed as delinquent or unpaid. Total up your debt owed by adding up the account balance on all your accounts. Some versions include your total outstanding debt in a summary information section of your credit report. Depending on when you ordered your credit report, the amounts owed on your accounts may not include your latest payments. It will give you an idea of how much debt you owe and when compared to your income, you can figure out whether you have too much debt. Taking inventory of your outstanding accounts also help you get started on a get-out-of-debt plan.